Membership for Welcome Week prices. Last chance on Wednesday. EUSA Page is working, our website is getting a rehaul. Thank you for being part of your Welcome Week experience. – Updates on what happened lask week. – Screening of the videos from the Thursday’s event. 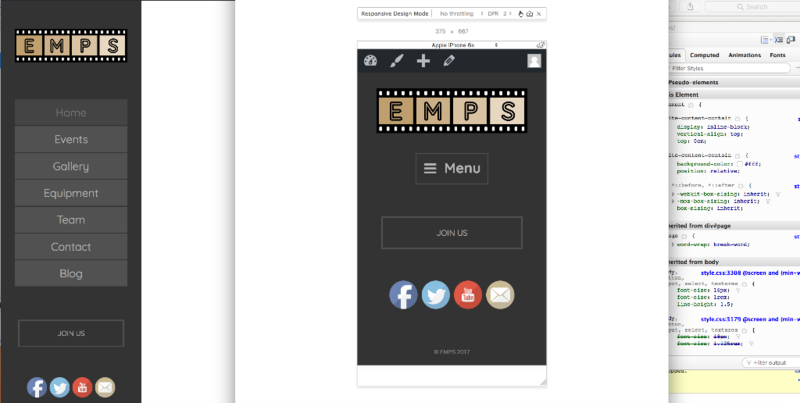 – What’s EMPS? What can you expect? What would you like to do? All these will be discussed on Wednesday. – Last chance to grab the membership for Welcome Week prices! – EGM announcement. What is it? Thinking about joining the committee? – First of our 11 Filmmaking sessions – Ideation!It’ll be a busy day, but the more fun it will be! Unfortunately, the location is not yet confirmed by the UoE booking system, so depending on how that goes, location will be announced anytime between now and noon of Wednesday 20th. Yes, already! We’ll divide people into groups and in the span of two weeks you’ll have to produce a movie. To make fair groups, please, think about which aspects of filmmaking do you enjoy, and how familiar you are with filmmaking. We’ll then match people based on those. And if you don’t remember what the consequences is about, no worries, we’ll refresh your memory, just remember that it’s really fun. PLEASE NOTE: Consequences is free for members, or for a symbolic £1 to non-members. You might be thinking: “But Juro, there’s already that Discussion Board EMPS FB group, what’s the difference?” Well, this one is just for us, for those that want to participate or do participate in this year’s EMPS events. So it’s a good place to form groups for, or discuss, competitions, talk with people who are interested in EMPS too, or find somebody who might be interested in the same project. The Discussion Board is more open to the outside world, so it might be a better place to find somebody for a bigger project. Or in other words: Once you “graduate” from EMPS 2017/18, the Discussion Board will be where you’ll find gigs or people for them. – Equipment hire fees for half the price and priority over non-members. – Weekly newsletter with useful tips and valuable video/audio/template resources. Starting next week! There’ll be a networking event on Wednesday at Cafe Voltaire where we’ll go after our meeting. FilmSoc, EUTV , EMPS (that’s us), and the Neon Eye (production company) are organising an event after which we’ll be all sparkling with ideas. What’s better, we’ll know other people, so starting something new might be as easy as starting a new group chat! We had a little trouble with our EUSA page and our website. – EUSA did not update our membership prices. Until this was solved, the buttons to buy membership were disabled. However, everything’s been solved and our EUSA Page is again the most convenient place to buy the memberships. P.S. : Our EUSA Page is now also made mobile-friendly!!! Go and check it out! – The website wasn’t updated for the last half a year. I did not receive the original files (originally made in Adobe Muse), so yesterday I tried to make the website human-friendly. Muse-generated websites are a pain to edit outside Muse itself, so that would take too long tho (after 6 hrs I had maybe about 1/7th of the job done). Instead, we’re migrating the website to WordPress, so that also future generations of EMPS Committees can use it. This should be done by the end of the following week. After all, we’re doing all of this for people like you. And that’s all! Have a nice rest of the weekend, enjoy the next week, and hopefully we’ll see each other on Wednesday!